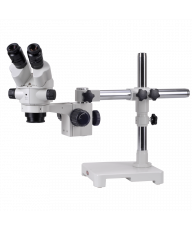 Trinocular stereo microscope head with 7x - 45x zoom magnification, trinocular beam-splitter, 360-degree rotation, 45-degree eyepiece inclination, 93mm working distance and dual dioptric adjustment. The EMZ-8TR stereo trinocular head is a Meiji workhorse, bringing exceptional optical quality in a compact, ergonomic design. 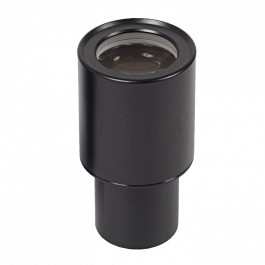 With optional 10x eyepieces, the head offers smooth, zoom magnification from 7x - 45x while retaining focus throughout the zoom range. 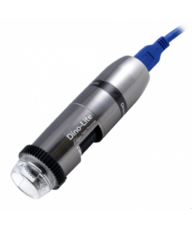 The trinocular port beam-splitter allows simultaneous viewing from all three eyetubes to easily facilitate on-screen displays and video applications with an appropriate digital camera. 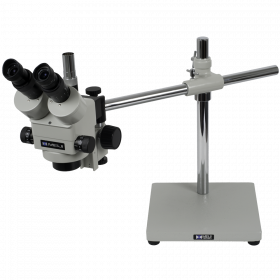 Trinocular stereo microscope head with 7x - 45x zoom magnification, trinocular beam-splitter, click-stop detents, 360-degree rotation, 45-degree eyepiece inclination, 93mm working distance and dual dioptric adjustment. The EMZ-8TRD stereo trinocular head is a Meiji workhorse, bringing exceptional optical quality in a compact, ergonomic design. 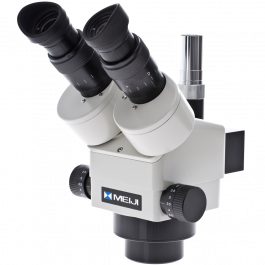 With optional 10x eyepieces, the head offers smooth, zoom magnification from 7x - 45x while retaining focus throughout the zoom range. 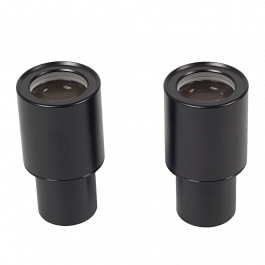 The trinocular port beam-splitter allows simultaneous viewing from all three eyetubes to easily facilitate on-screen displays and video applications with an appropriate digital camera. 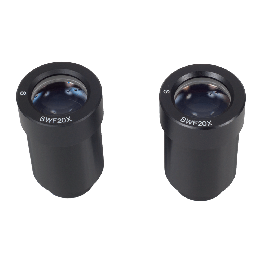 Solid click-stop detents offer the user a quick, easy means of returning to a known magnification setting, increasing accuracy and productivity in repeated imaging applications. 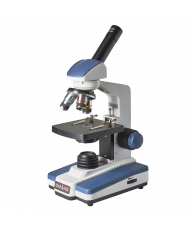 The Meiji EMZ-8TR-PBH is a combination of Meiji's best-selling trinocular zoom stereo microscope body and the PBH stand with integrated Halogen transmitted and incident illumination. 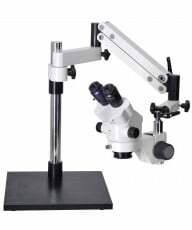 The microscope offers 7x-45x zoom magnification with 10x eyepieces although you have a choice of eyepieces. Limited Lifetime Warranty. 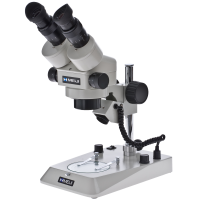 The EMZ-8TR is Meiji's most popular trinocular zoom stereo microscope head. It is to trinocular what the EMZ-5 is to binocular. A good quality workhorse for industry ad education that can be relied on to last a lifetime with zero defects. The parfocal zoom range is 7x-45x (10x eyepieces) with dual-sided zoom controls. 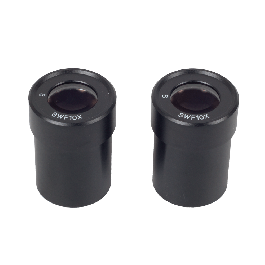 The field of view is 32mm-5.1mm with 10x eyepieces and the standard working distance is marginally longer then the EMZ5 at 104mm. The head is inclined 45° and includes interpupillary adjustment of 54mm-75mm. There are dual +/-5 diopters for convenient individual eye focusing. The head rotates through 360° for flexible viewing positions. The PBH is an Illuminated pole stand with "F" focusing holder. 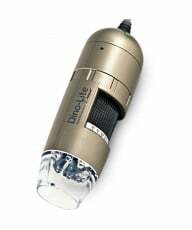 It provides both transmitted and incident 6V 10W halogen illumination with variable intensity control. Supplied with 94.5mm diameter clear glass stage plate, reversible black and white stage plate and two stage clips. Illuminators may be operated independently or simultaneously. Dimensions: Total Height: 280mm (11.02"). Pillar Height: 212mm (8.35"). Base Dimensions: 160mm (6.30") wide by 240mm (9.44") deep.